You guys, FALL! Bring, it. on. Cooler weather brings with it more time spent indoors cozying up to those near and dear. Wouldn’t it be lovely to add comfort to our homes all while celebrating this delightful season? 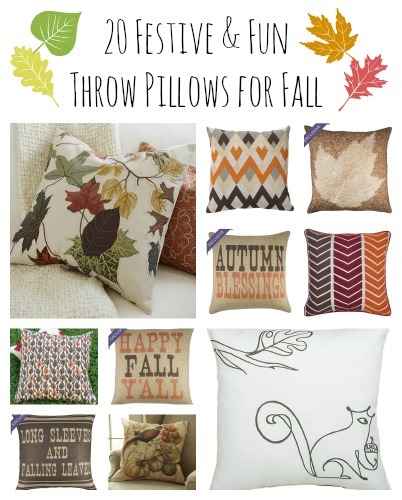 With decorative autumn-inspired throw pillows, we can! Let’s take a look at 20 of the most festive autumn-inspired pillows to add instant comfort and seasonal style to your home!